So, when I work on the blog, I don’t watch TV, I listen, and sometimes I hear the best ideas! 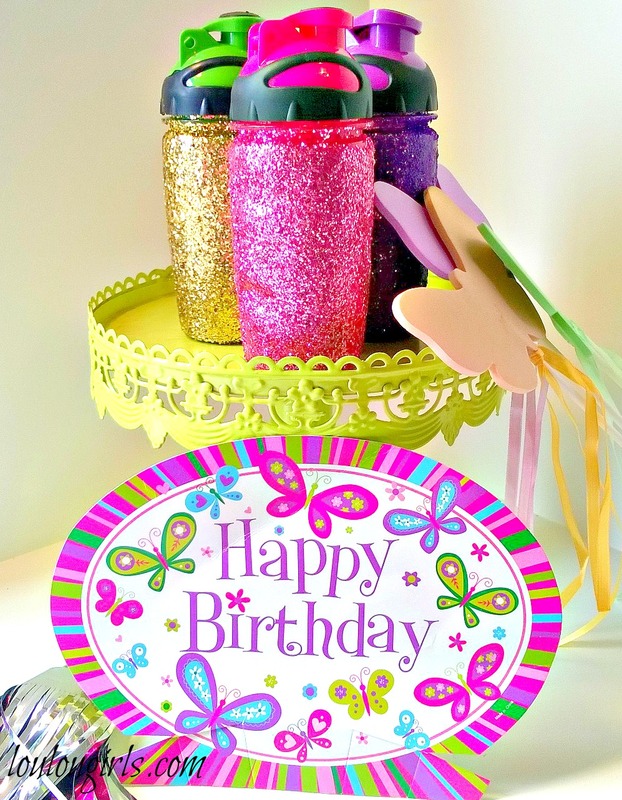 I don’t even remember the station but when I heard this idea, I thought it would be so fun for Easter, birthday parties or any party situation because let’s be honest, a little glitter makes any party better! The best part is that it’s super easy to do and super cheap to make. I went to the Dollar Store and picked up some water bottles but you could use sippy cups, regular glasses or even water bottles. Take off the lid of the bottle. 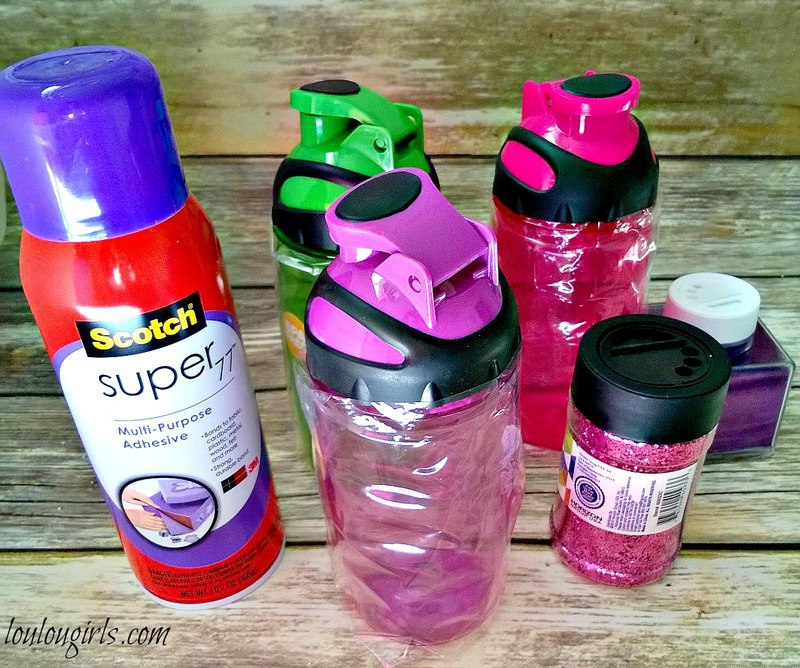 Spray the bottle surface that you want to cover with glitter. I tried just spraying sections but it didn’t work as well as spraying the whole bottle at one time. 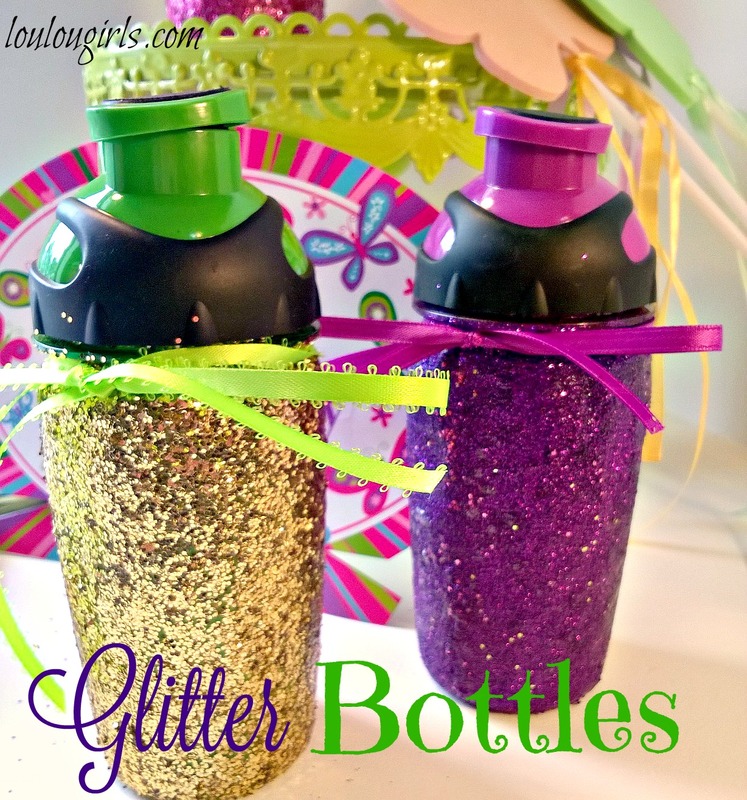 Dip the bottle into the glitter. If you get a clump, gently rub it off. Let dry. Taking your sponge brush, generously dab Mod Podge onto the whole bottle surface. Let dry. They claimed on TV that you will be able to put these in the dishwasher. I haven’t tried that yet. These are so adorable and easy to do. My grand daughter is into glitter so I might have to make her one. 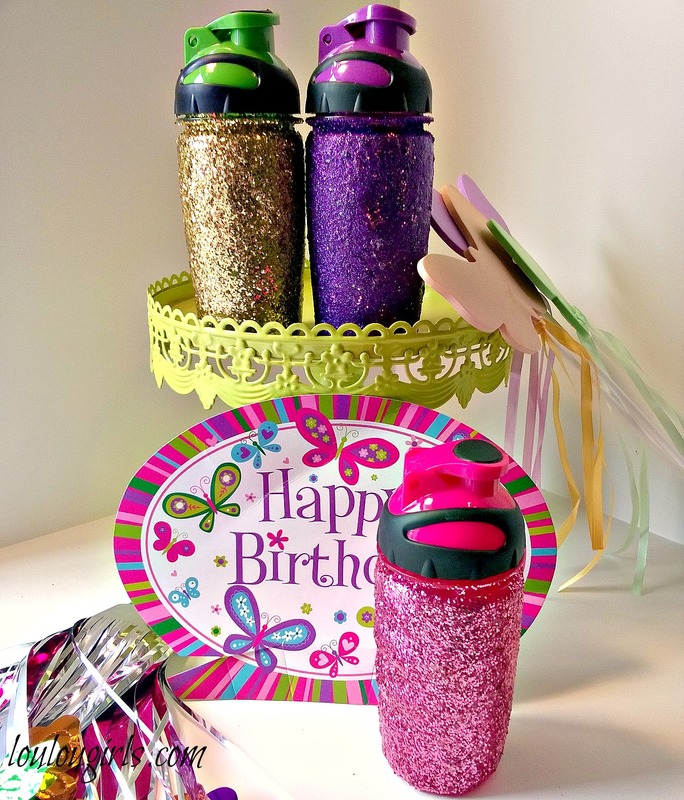 These DIY Glitter Bottles are the cutest things for a festive birthday party! I just know the guests will love them. Thank you for sharing them at the Healthy Happy Green Natural Party! I'm Pinning and sharing this!